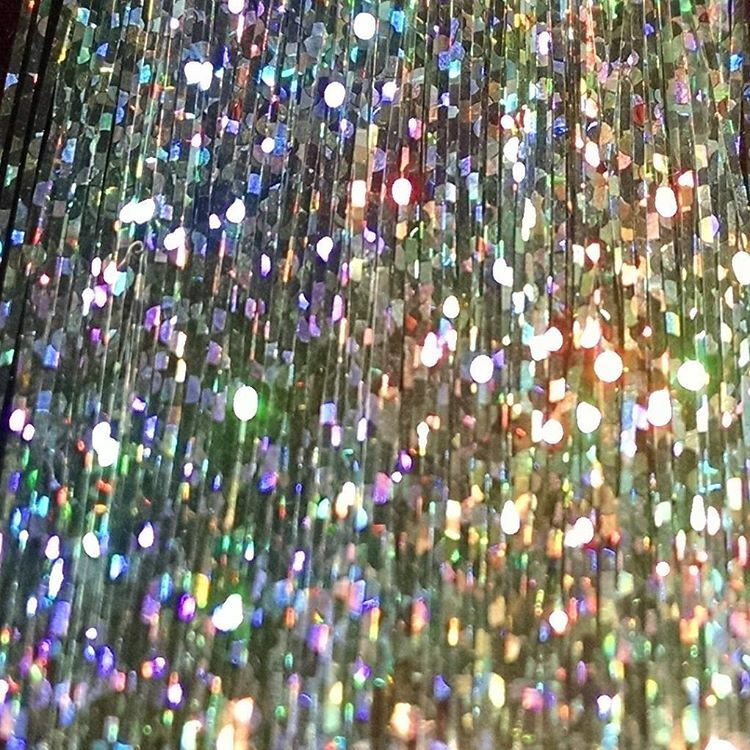 Two chances to sparkle before New Year's Eve, Wednesday and Friday! Wednesday, January 4th, 2-5pm: First Wednesdays Faery Hair at Kyra's Bakeshop, 599 A Ave, Lake Oswego, Oregon, drop in and ask them to get on the list! 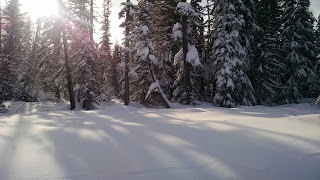 Oh noes, too much snows! 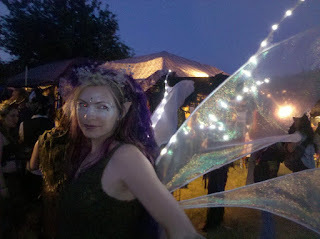 2nd Wednesday Faery Hair Sparkle Party Happy Hour at Belmont Station will be postponed until next week! I will post here as soon as I have an idea about Thursday 12-3pm at the Maple Parlor. November and December are filling up with events, as the holidays sneak up on us. As always, every Friday is Faery Hair Friday at the Fernie Brae, 4035 SE Hawthorne in Portland. 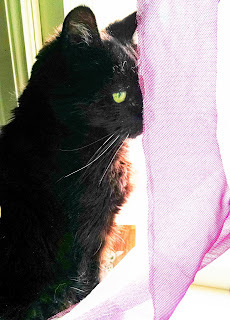 October is often my most intense month, spiritually. Dia de los Muertos and the Samhain are for listening to the faeries, while the veil is thinnest. 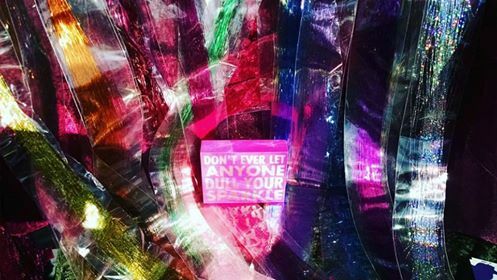 Gentle messages whispered through the ether. 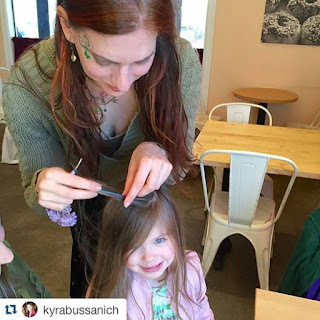 Wednesday, November 2nd: 2-5pm, Faery Hair for First Wednesdays at Kyra's Bakeshop, 599 A Ave, Lake Oswego, drop in! Friday, November 4th: 11am-6pm, Faery Hair Friday at the Fernie Brae, 4035 SE Hawthorne, Portland, drop in! 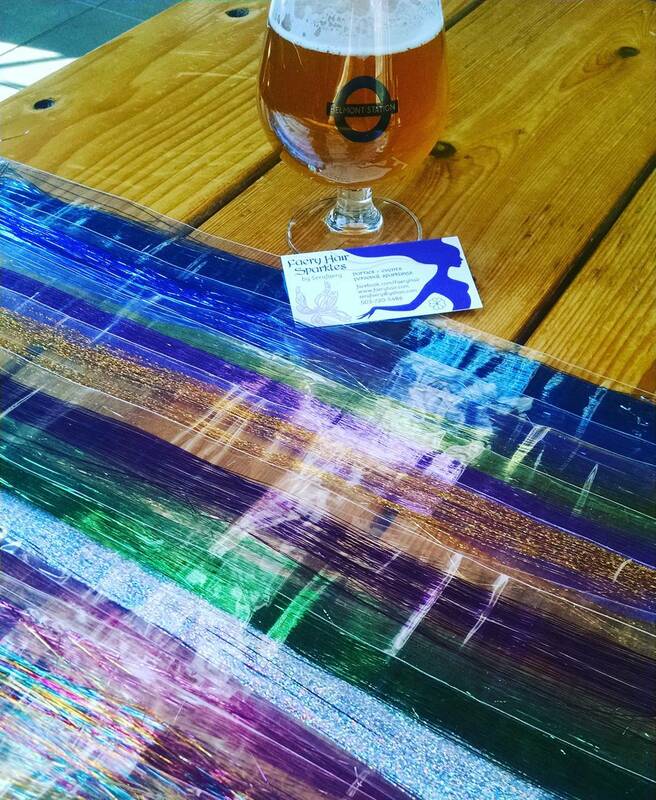 Wednesday, November 9th: 4-8pm, 2nd Wednesdays Happy Hour Sparkle Party at Belmont Station, 4500 SE Stark St, kids welcome until 7pm, drop in! Thursday, November 10th: 3-7pm, Faery Hair at the Maple Parlor ice cream shop, 3538 SE Hawthorne, Portland, drop in! Friday, November 11th: 11am-6pm, Faery Hair Friday at the Fernie Brae, 4035 SE Hawthorne, Portland, drop in! 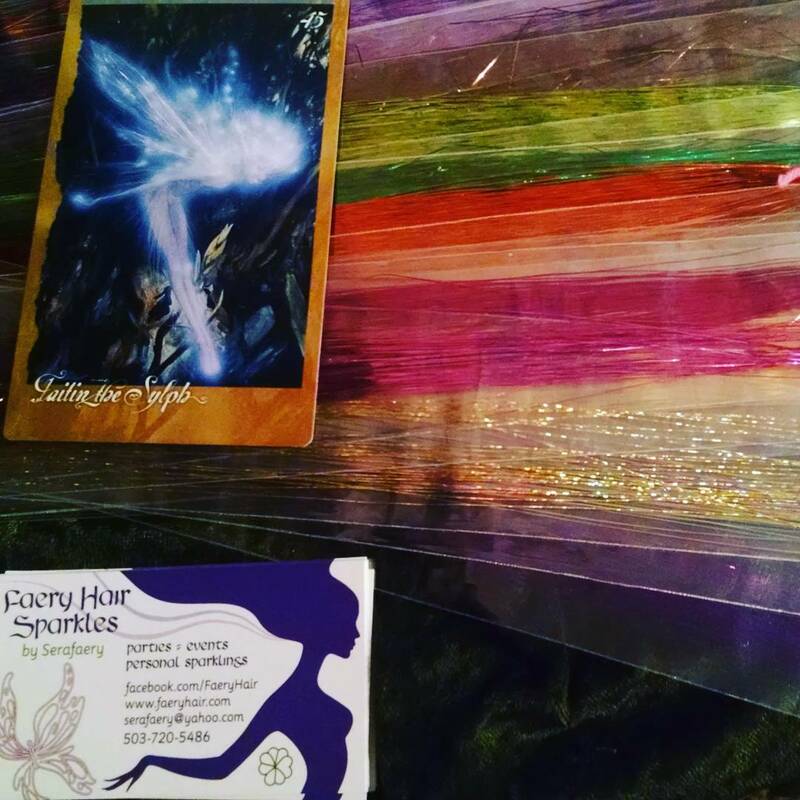 Tuesday, November 15th: 11am-1pm, Faery Hair for PGE Holiday Bazaar at the World Trade Center Portland, 121 SW Salmon st, free entry! 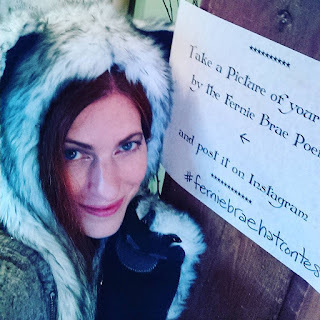 Friday, November 18th: 11am-6pm, Faery Hair Friday at the Fernie Brae, 4035 SE Hawthorne, Portland, drop in! Autumnal Equinox, Faery Hair Sparkles, and Dancing like Zombies! Saturday, Sept 24-Thursday, Sept 29th: Break! Wednesday, Oct 5th: 1st Wednesdays Faery Hair Sparkles, 2-5pm at Kyra's Bakeshop, 599 A Ave, Lake Oswego, Oregon, drop in! 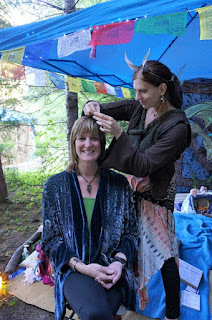 Friday, Oct 7th: 11am-6pm, Faery Hair Friday at the Fernie Brae, 4035 SE Hawthorne, Portland, drop in! 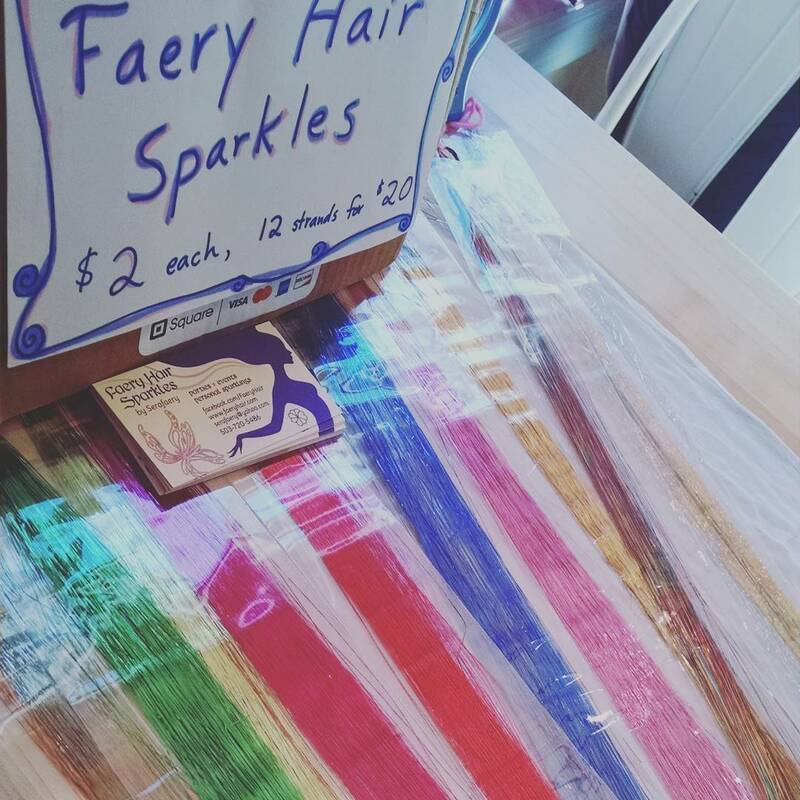 Wednesday, Oct 11th: 2nd Wednesdays Happy Hour Faery Hair Sparkles, 5-8pm at Belmont Station, 4500 SE Stark St, kids welcome until 7pm, drop in! 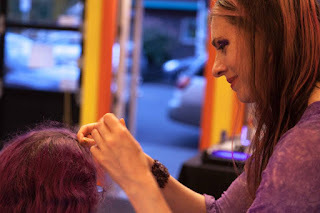 Friday, Oct 14th: 11am-6pm, Faery Hair Friday at the Fernie Brae, 4035 SE Hawthorne, Portland, drop in! Friday, Oct 21st: 11am-6pm, Faery Hair Friday at the Fernie Brae, 4035 SE Hawthorne, Portland, drop in! 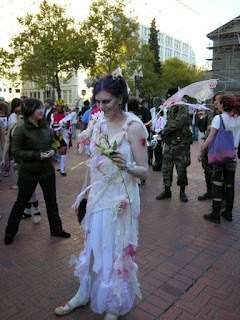 Saturday, Oct 29th: Thrill the World Zombie flashmob dance, worldwide! Monday, Oct 31st: Halloween! Trick or Treat! Merry Samhain! 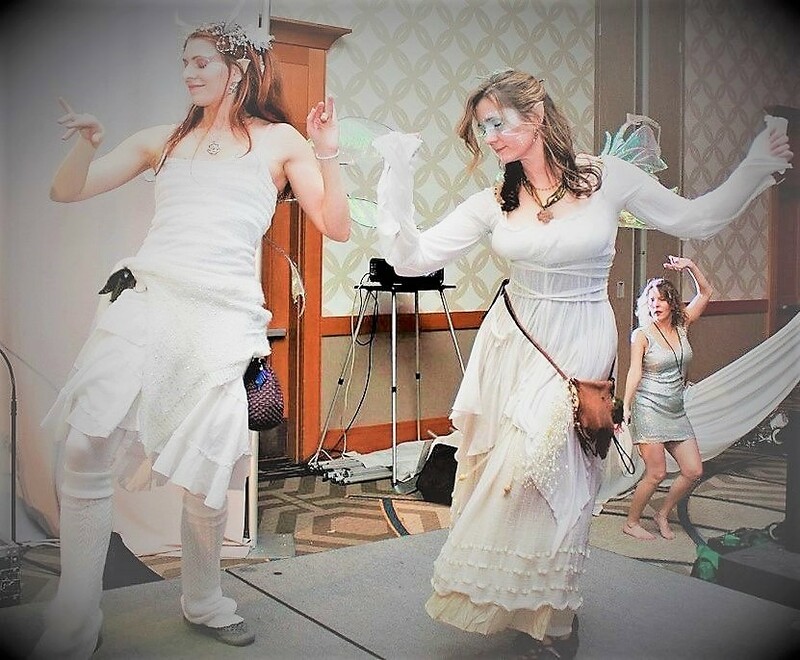 Sera teaches the Michael Jackson Thriller zombie dance choreography through October for the annual Thrill the World worldwide flashmob zombie dance every year! 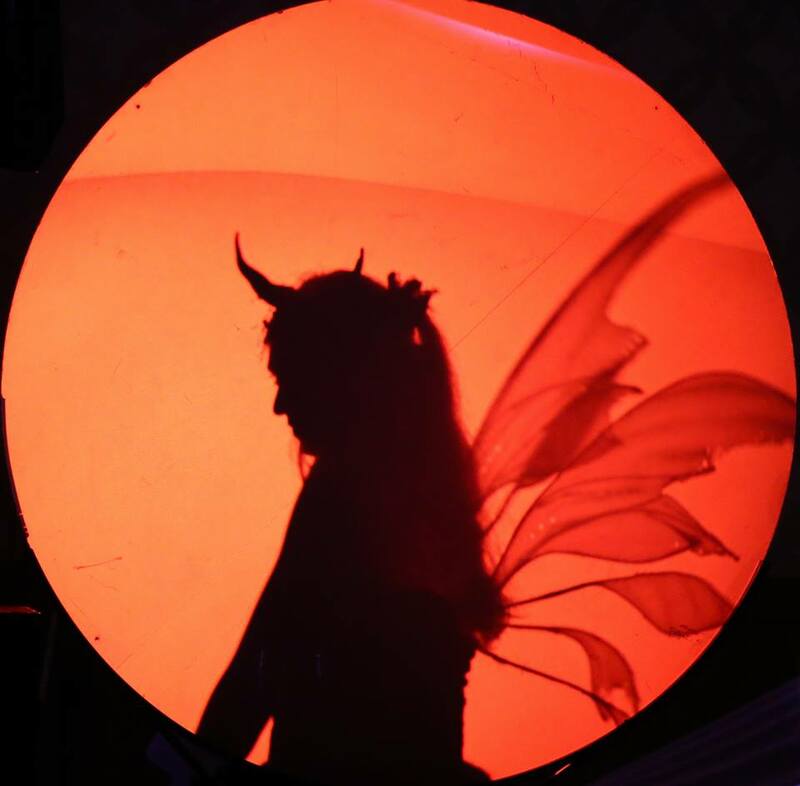 This year's dance happens Saturday, October 29th. 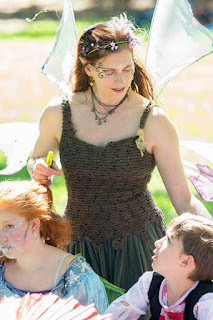 Ask Sera or check the Thrill the World Portland facebook page for details. Sera's boyfriend teaches the Beat It choreography, too! 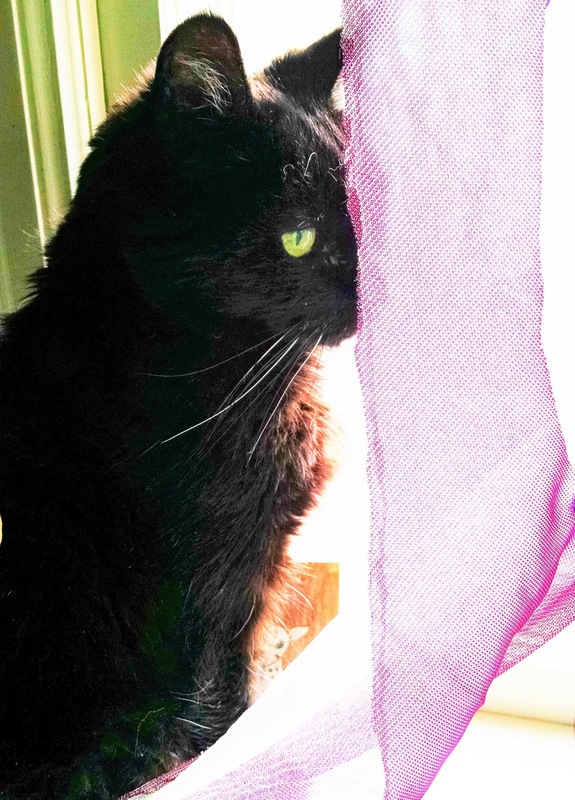 As always, Sera takes Square! Credit cards are always welcome! 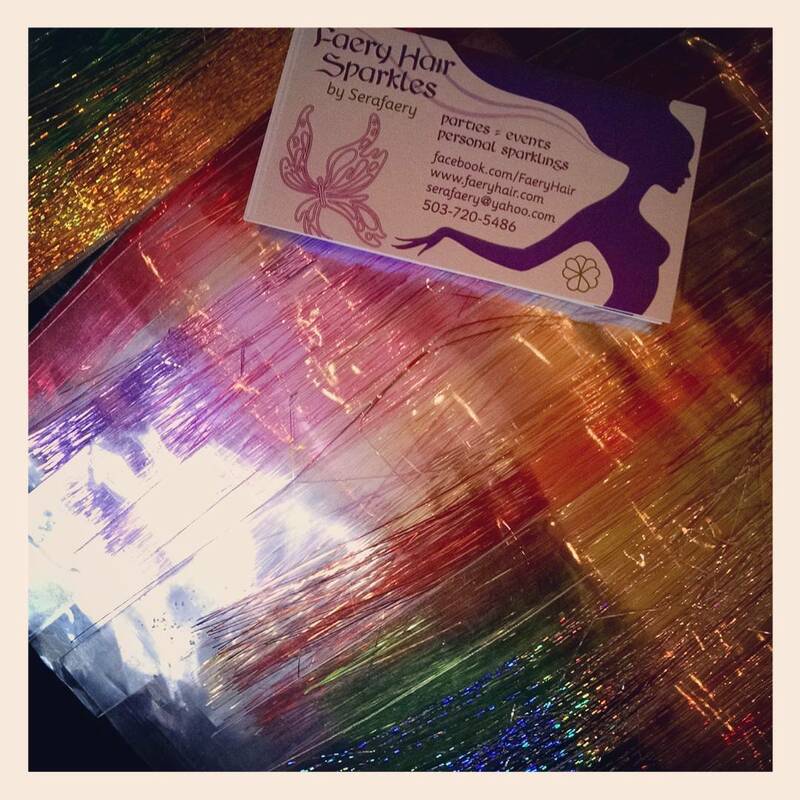 Hair Sparkling for the Belmont Street Fair, this Saturday! 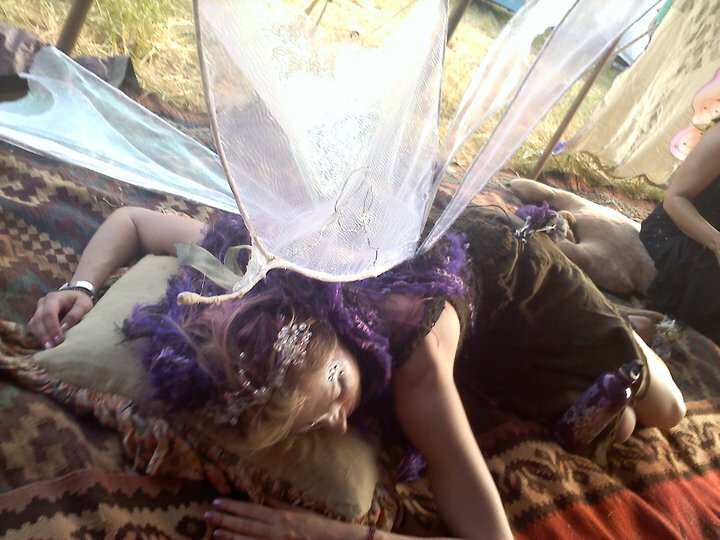 Faerieworlds was the best ever, my solace, my reason for sparkling. 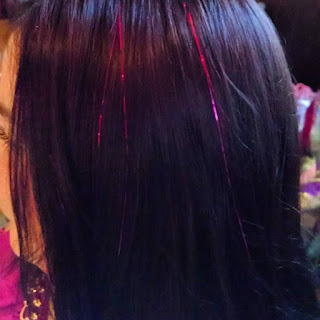 Next year I think I should actually work, doing Faery Hair Sparkles, as I wasn't able to reach a fraction of the people who asked, this year. I did have a blast playing! My bones are paying for it this week, oof. 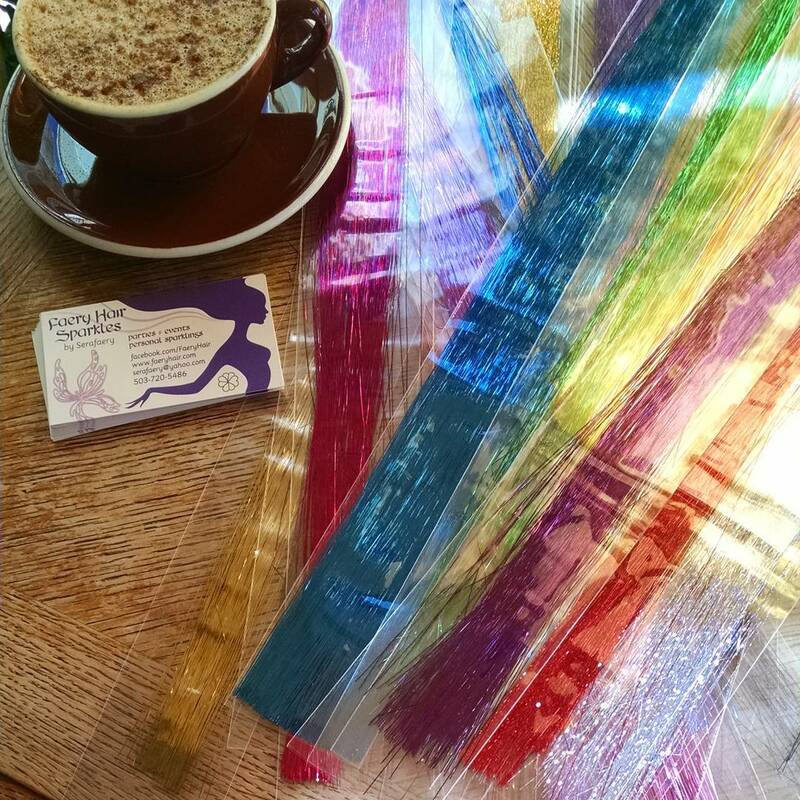 Saturday, September 10th: 11am-5pm, Faery Hair at Sound Grounds for the Belmont Street Fair, 3701 SE Belmont St, drop in! 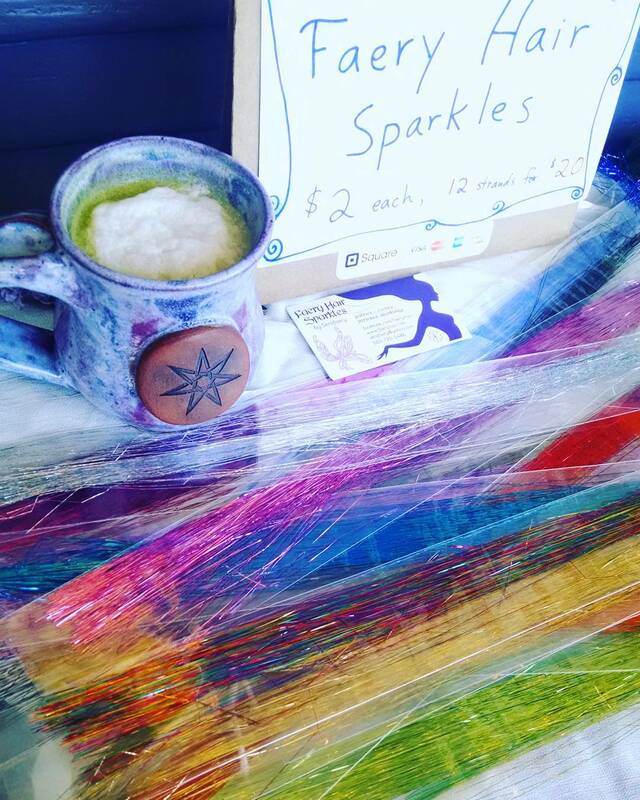 Wednesday, September 14th: 5-8pm, Monthly Event! 2nd Wednesdays Happy Hour Sparkle Party at Belmont Station, 4500 SE Stark St, kids welcome until 7pm, drop in! Time flies! Next sparkling is June 8th, 2nd Wednesday Happy Hour, 4-8pm at Belmont Station, 4500 SE Stark St, Portland, kids welcome until 7pm, drop in! It's my birthday week! 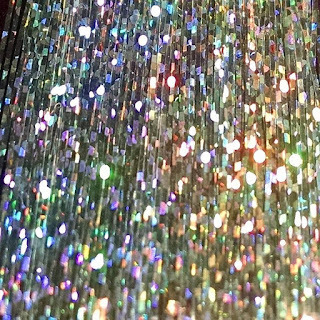 Lots of dancing, skating, celebrating, and sparkling! 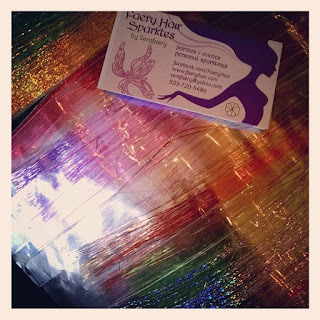 Come find me for sparkles at a time below, or drop me a note or call 503-720-5486 or serafaery@yahoo.com to schedule your own. 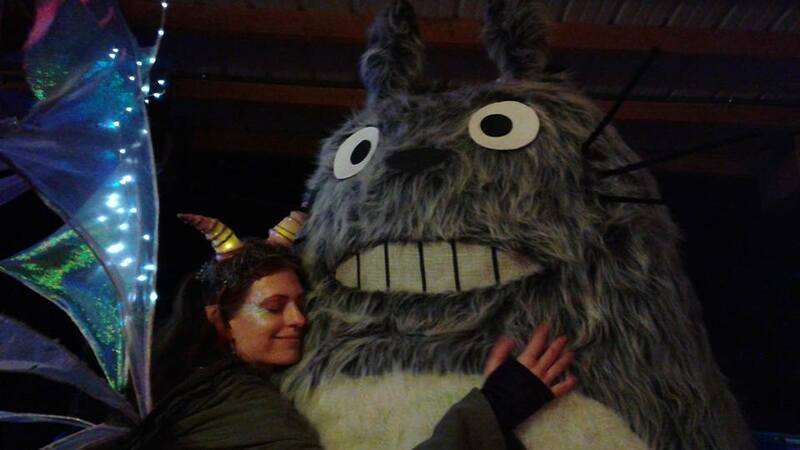 <3! 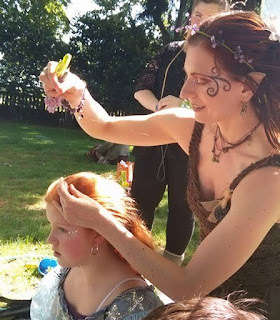 Friday, May 20th: 11am-6pm, Faery Hair Friday at the Fernie Brae, 4035 SE Hawthorne, Portland, drop in! Wednesday, June 8th: 5-8pm, 2nd Wednesday Faery Hair Happy Hour party at Belmont Station, 4500 SE Stark St, back patio, kids welcome until 7pm, drop in! 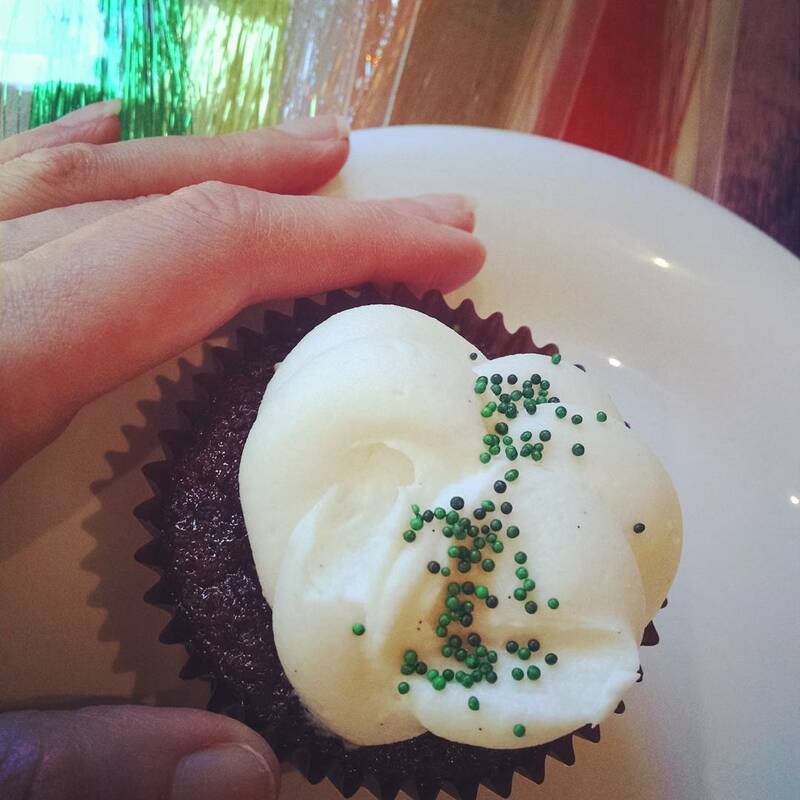 Sparkles and cupcakes! 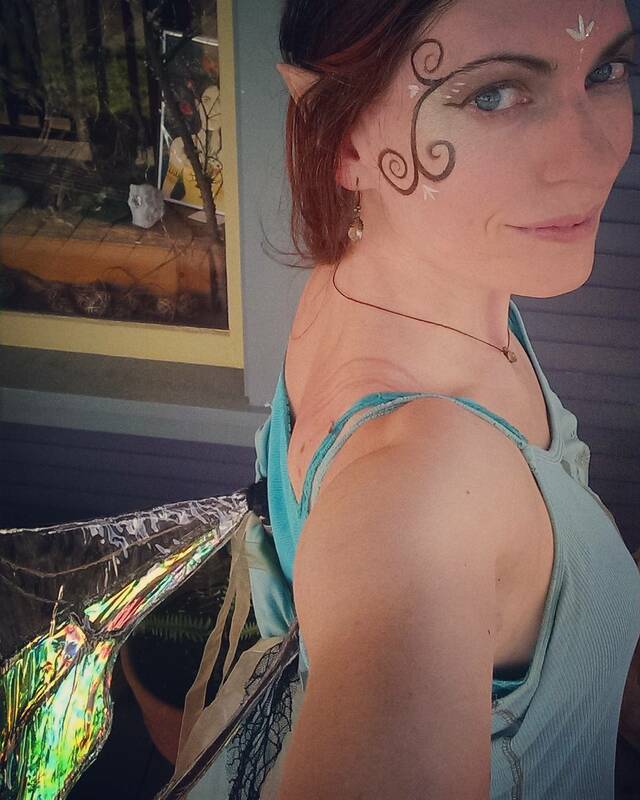 Beer and Faery Hair! All kinds of goodness upcoming this month. Read on! 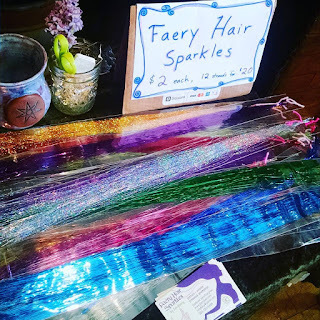 Saturday, May 7th: 12-5pm, Faery Hair for Sacred Money Studios Prosperity and Pie Shoppe Grand Opening, 7814 SW Capitol Hwy (Multnomah Village), open to the public, drop in!